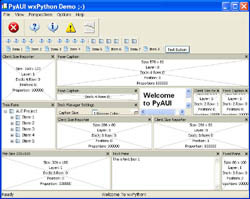 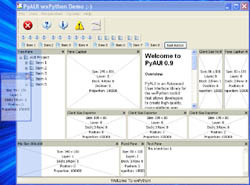 PyAUI is an Advanced User Interface library that aims to implement "cutting-edge" interface usability and design features so developers can quickly and easily create beautiful and usable application interfaces. 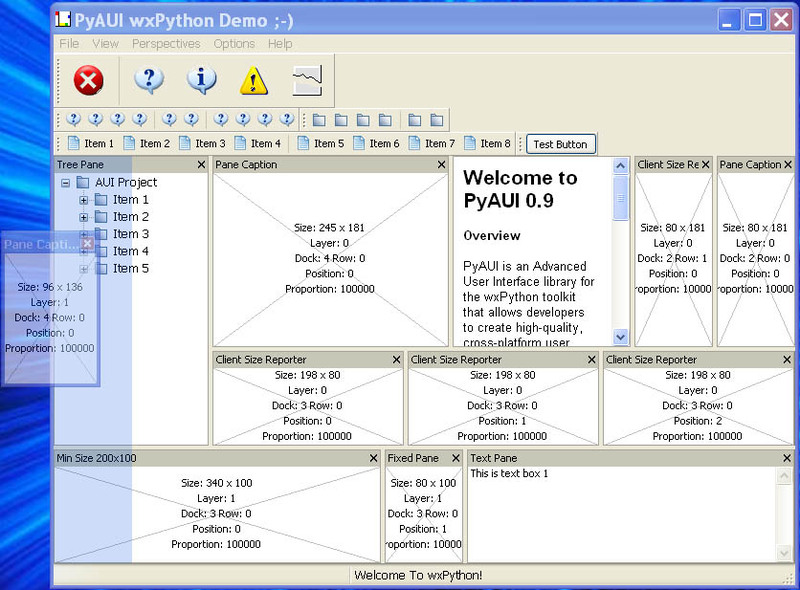 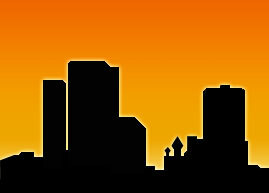 Note: PyAUI is a Python implementation of its C++ sister, wxAUI. 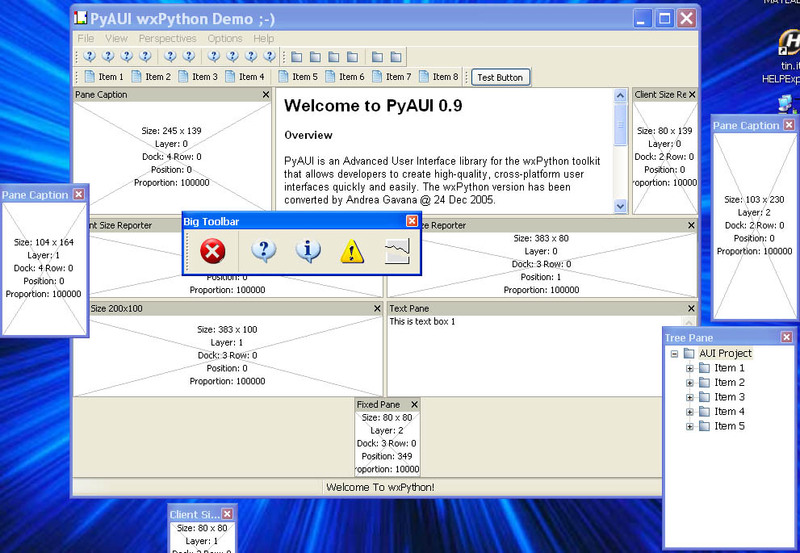 Currently, support for PyAUI is discontinued as wxAUI has been integrated into wxPython, and a lot of more options are available.